I had to be a little sensible during this month's Newcastle Restaurant Week, unfortunately a bride to be can't really be out on the Toon eating in multiple restaurants (especially when she has a dress fitting booked in!). So when it came to choosing just one restaurant from the huge list I knew I had to try hard to pick something amazing. 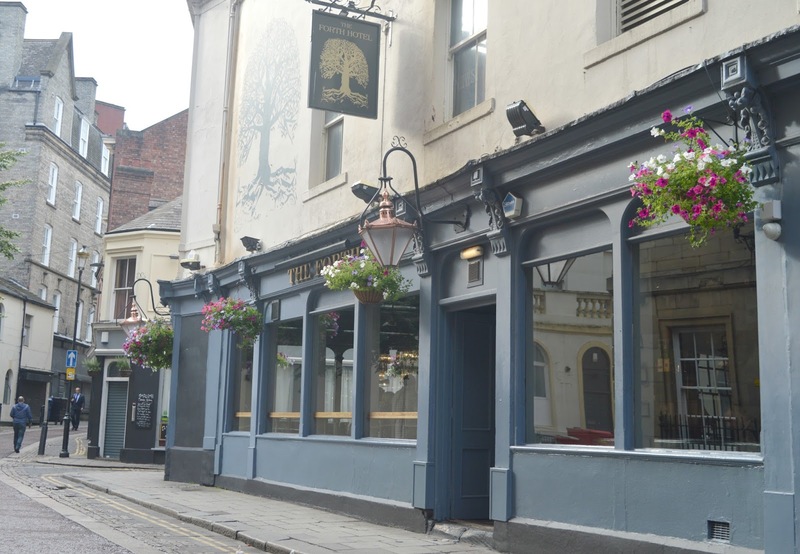 Usually when I choose a restaurant for NE1 Restaurant Week I tend to favour restaurants I've never been and then study each menu carefully to see which places offer the best selection of dishes and the best deal. I have to admit sometimes restaurants don't offer amazingly varied menus during Restaurant Week. 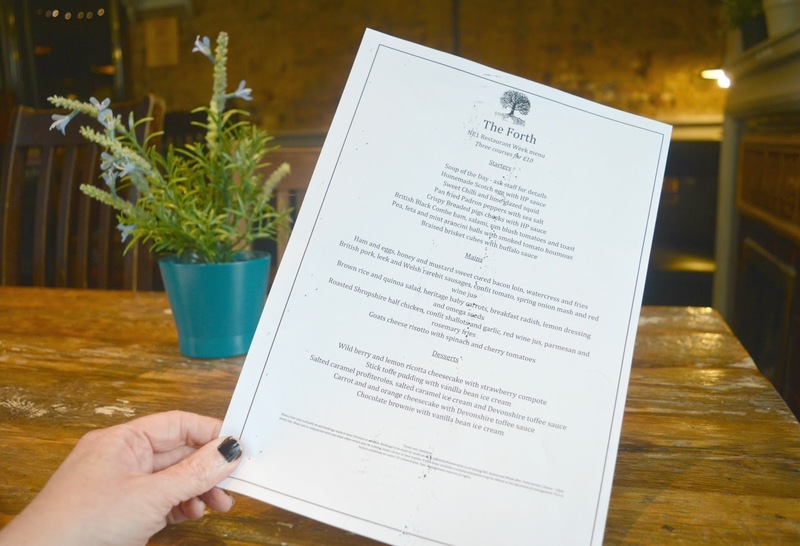 The menu at The Forth on Pink Lane looked amazing with plenty of choices for each course. It's been on my restaurant list for the longest time so I decided to book in for Restaurant Week with my lovely friend Katie. I've often walked past the Forth and felt quite jealous of the people inside, with it being such a small pub I've always presumed that it'd be hard to find a seat. Wrong! The Forth is like a real life tardis with so much room inside, I was shocked by the amount of tables! A warm, cosy and well loved pub the exposed brick work, dark corners and twinkly fairy lights made me crave Winter. I bet the Forth is beautiful at Christmas, I can imagine myself snuggled up by the fire drinking hot chocolate. The Restaurant Week Menu at the Forth was easily the best value deal of Restaurant Week with three courses for £10 and plenty of dishes to choose from. 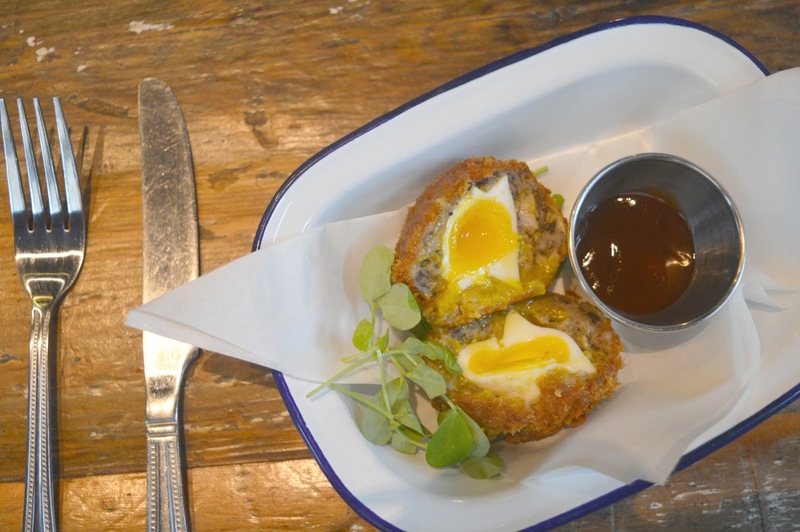 We both ordered the same for our Starter, the Homemade Scotch Egg, hardly a surprise as we often talk about how much we love them. Cutting into my egg I was so happy to find a runny yolk and the tangy HP sauce was a delicious accompaniment. A great start to our meal. 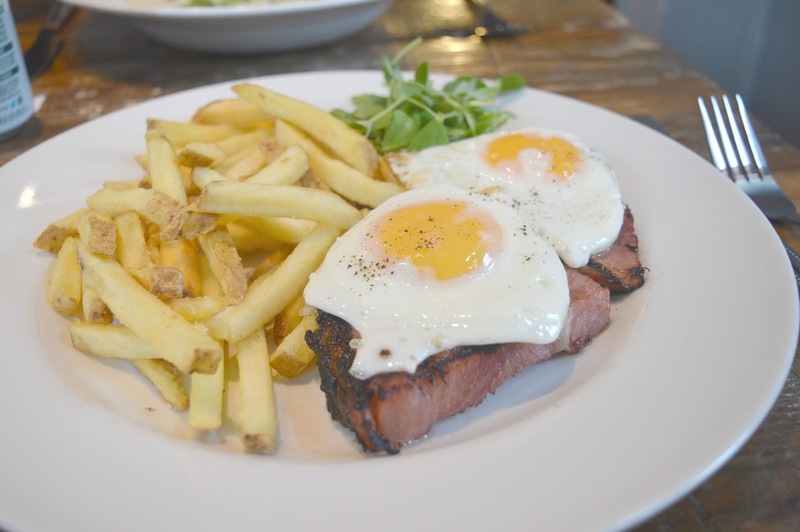 For my main course I chose the Ham, Egg and Chips, a proper pub classic. The ham was so thick and the two slices were almost too much for me to handle. The chips were lovely with plenty of crisp and a generous portion. The eggs weren't quite as runny as I would have liked, although we can possibly blame that on me taking too long to photograph my food. The final part of the night was unfortunately a bit of a let down. I ordered the Salted Caramel Profiteroles that came in an annoying glass that made eating them a little tricky, not helped by being given a soup spoon to eat with. 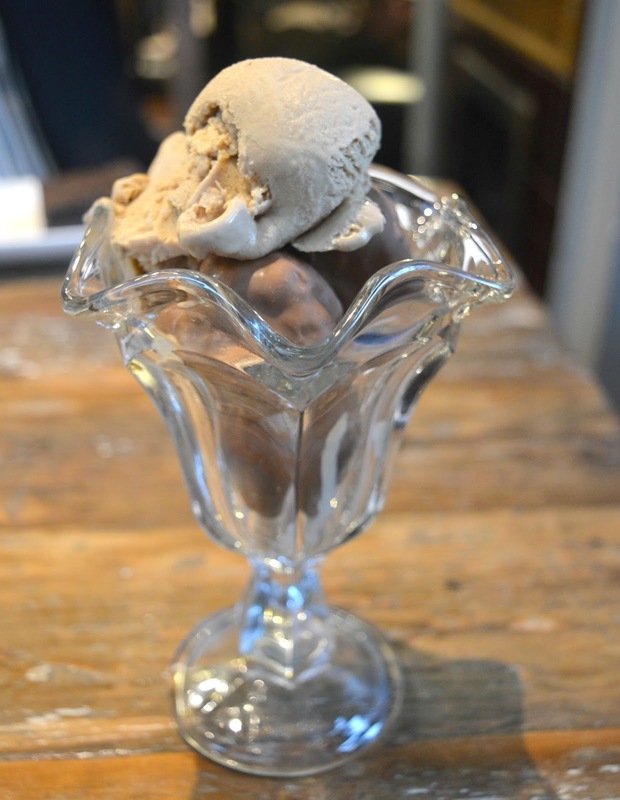 Try eating ice-cream from the bottom of a glass with a soup spoon, and let me know how you get on it's not easy! The ice-cream was frozen solid in places and the profiteroles were nothing special, I was a little disappointed. I love NE1 Restaurant Week for encouraging me to try new places and it was great to finally explore the Forth. Did you discover any new favourites restaurants during Restaurant Week? I love the Forth. It's always our first stop on a night out on the town. They used to do excellent meat & veggie boards but stopped a while ago. I still dream about the cauliflower tempura with cheese fondue!